We all have different lives, different preconditions and individual obstacles to overcome. The time you should invest in practising Taijiquan or Qigong depends on the goal of your practice. If you start Taijiquan or Qigong as part of reconvalescence after an illness or after surgery, you may not be able to train in long sessions. Tip: 10 to 20 minutes practice a day may prove to be more effective then training for two hours twice a week. If you have more time, try short sessions in the morning and in the evening. Many beginners report a feeling of being relaxed after some sessions. Daily practice reduces stress levels and soothes the central nervous system. Muscles and sinews are gently stretched and allowed to rebuild / build up in their own time. Focusing on the breathing will develop a deep breath, which increases oxygen flow in the tissues and activates the organs. If you have a busy job or suffer from work-related or private stress, you may want to practise Taijiquan or Qigong for the enhancement of your overall well-being. Also, if you practise Qigong as part of your wellness programme or as calisthenics, your focus will be on having time for yourself and “starting to move”. Tip: Make practising your ritual! Do visit a weekly course regularly – which means every week, unless you are ill or on holiday. No excuses! Even if you have to fight in the beginning – either against yourself or against the wishes or restrictions imposed on you by others – you and your health will profit in the long run. If you practise at home, always train at the same day at the same time. If you make that your rule, you will create a room in time and space just for yourself. In this way, you can use your training as self-empowerment. 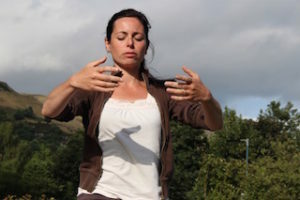 taiji-forum.com > Tai Chi > Basics of Tai Chi > How should I practise Qigong and Taijiquan?